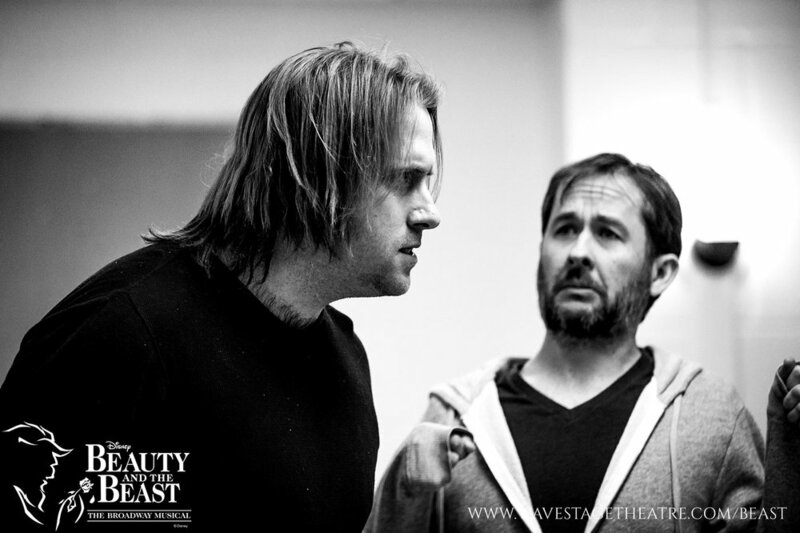 What can audiences expect from your portrayal of the The Beast? Hayden: "The Beast is a remarkable character. He is an individual that embodies the notion of change both externally and internally. What I have loved about performing this role is trying to show that change and complexity. He is more than a “beast” or “a man trapped in a beast's body”. He is, at his core, human, just like every other character – even if you can't see it right away through the fur and the horns. He has flaws but also virtues within him. What has been a rewarding challenge is our director, Sarah Langford's, vision to make it clear that we are dealing with an adult – a man – that was transformed into a beast. He is not a bratty child or an immature teenager when he is transformed, but an adult prince. You won't see any temper tantrums with this Beast, but rather a complex adult capable of great sympathy but also great anger. People will find a whole set of feelings towards this portrayal. They can be scared of him, they can hate him at times, they can feel sorry for him, they can love him. I hope audiences will run the whole gambit of emotions when seeing this show." Hayden: "I started singing when I was very young. As a kid, I was singing stuff like Eagles, N'Sync and Backstreet Boys (it was the 90s), Brooks and Dunn, Beach Boys – road trips were always filled with singing. When I was about 12, my mother took me to see a stage performance of Treasure Island in London, Ontario. To see people telling me a story on stage – I was hooked from then on out. All I wanted to do was to try performing. I would sing songs and act scenes out all the time. Soon after, I began to look into musical theatre. One of the first soundtracks I listened to was Phantom of the Opera. When I turned 16, I had my first chance to audition for a musical and I played Sasha in Fiddler on the Roof. After that? I just couldn't stop. Theatre, musical, whatever I could get my hands on. I love being able to bring characters to life and use them to tell stories, because we all are stories in our own way. Stories shape our history and inspire us. They let us use our imaginations and challenge us to look at the world a little differently – like this great musical teaches." Would you say you have any similarities to The Beast? Hayden: "You'd really have to ask my fellow cast mates or amazing directing team for a more honest answer. I guess for me, I relate to the “seeing beyond appearances” that the Beast goes through. At first glance, he's mean and scary looking, but as you get to know him, he's much more. I've found the same to be true in my life as well. And being involved with theatre for so many years, I've met such amazing people that have given me the chance to discover/show who I really am." You've performed as The Beast before. What has the rehearsal process been like for you this time around? Hayden: "The directors have kept a very strict and organized schedule. Every minute is precious with Sarah, Rhiannon and Caileigh. 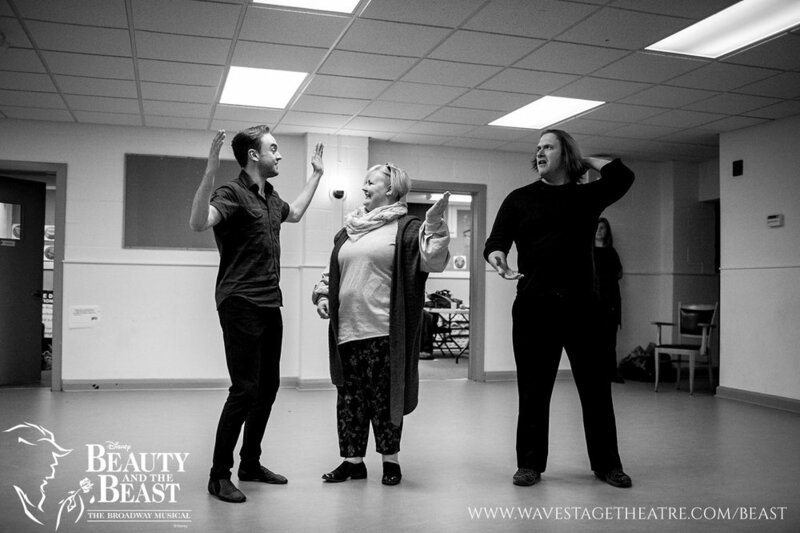 We have had only just under four months to put this production together and they have made sure that every rehearsal is designed to best prepare the actors, fine-tune the scenes, and make the most of our time in rehearsal. They have also been very open to adding time or shifting things around to accommodate issues or concerns. Personally, having such a tight schedule has been so helpful for me in preparation and being able to communicate so openly with the directors has allowed me to try new ideas and learn new things about this character." Hayden: "To perform, it would be a tie between “Something There” and the title song “Beauty and the Beast”. These are the scenes where The Beast changes the most. You see so many sides of him in these scenes – his nervousness, his despair, his love, even his playful side on a few occasions. We see that he is more than monster or animal. He is human. In addition, we have the amazing Genna Giampaolo as Belle – who brings so much to these scenes. The connection and chemistry between the Beast and Belle is what makes these scenes so fun and iconic and Genna's Belle is perfect, challenging The Beast and teaching him throughout the show. To watch, hands down, would be anything with our Gaston (Bevan Buhler), the songs “Me” and “Maison Des Lunes” come to mind. Bevan is an extraordinarily talented performer that just steals the show every time he is performing. 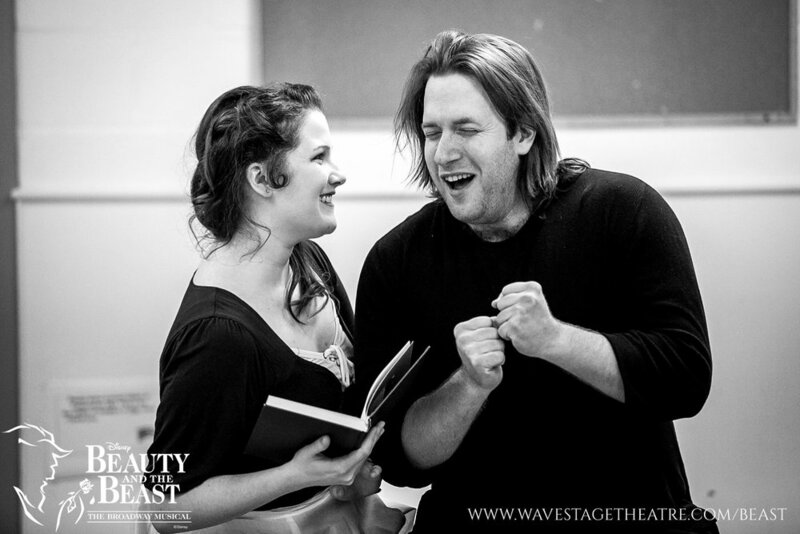 Whether he's drinking in the tavern or hitting on Belle, Bevan always looks like he is having the time of his life and watching him perform, you get pulled into that energy. 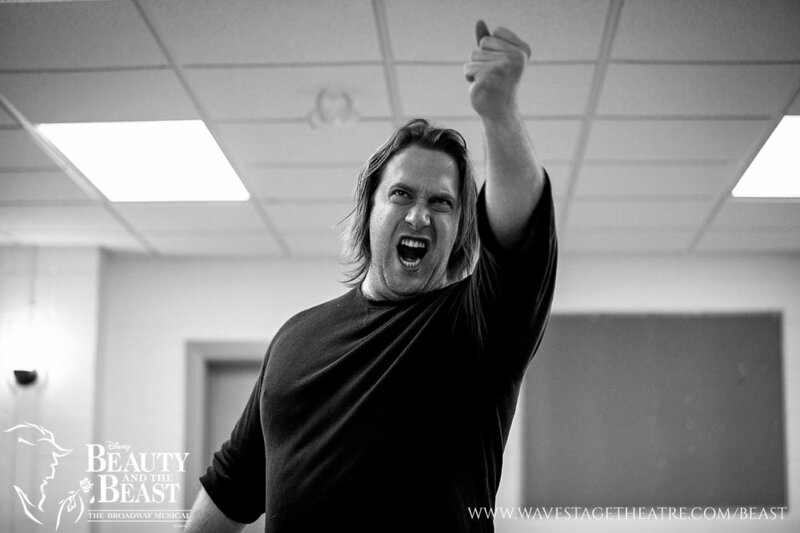 Audiences will love what he does on stage – even if he is the bad guy!" What’s the most challenging part about performing as The Beast? Hayden: "Easily the vocal demand. This is not a role that is done in a recording studio. On stage, everything is live and on the spot. And with the Beast, there is a certain expectation of having “beastly” moments. People want to hear the growling and the roaring. They want to see the darker sides of his personality as well as the good. But, when you're on stage, it's beyond important that you know how to do that without overdoing it, because you still need to sing well, especially for the Beast's big song “If I Can't Love Her”, which closes out Act One. I realized really quick that I couldn't just growl or roar my way through my lines and then just sing well like it was no big deal. Fortunately, I've had a great vocal coach/director in Sarah Langford. Sarah and I sat down and assessed what lines to roar and growl and what lines to do differently that would still be effective. She is also an incredible vocal teacher and she has done wonders with not only me and my singing but with the rest of the cast of this show." Hayden: "Fine-tuning everything. We've reached a point where we are being encouraged to look for further details in the character. Little things to make them more and more real to us. For me personally, I'm constantly playing with difference approaches with my voice and interacting with the amazing cast during the scenes. I love that, no matter how many times we do a scene, it is never done exactly the same way twice." Hayden: "In a word: More. The show is longer than the animated movie it was based on. There are additional scenes and dialogue that give so much to the characters. We're not rushing towards the ending with this production, but rather telling a more complex version of the story, with fuller characters and musical numbers to enhance said story. In addition, live theatre brings with it a kind of entertainment that can't be found in movies or recordings. We're always told “prepare for anything when on stage” because that is 100% true. Anything can happen on stage and you have to roll with it. And everyone, from the cast and crew to the audience watching is involved with each performance. From an audience perspective, everything is right before their eyes. They see the castle, they see the dancing, the performers sing and act out to them. And when you have 50+ of the most talented actors, singers and dancers performing such hit numbers as “Be Our Guest” and “Human Again”, it creates an experience that you can't get through television or the movie cinema. 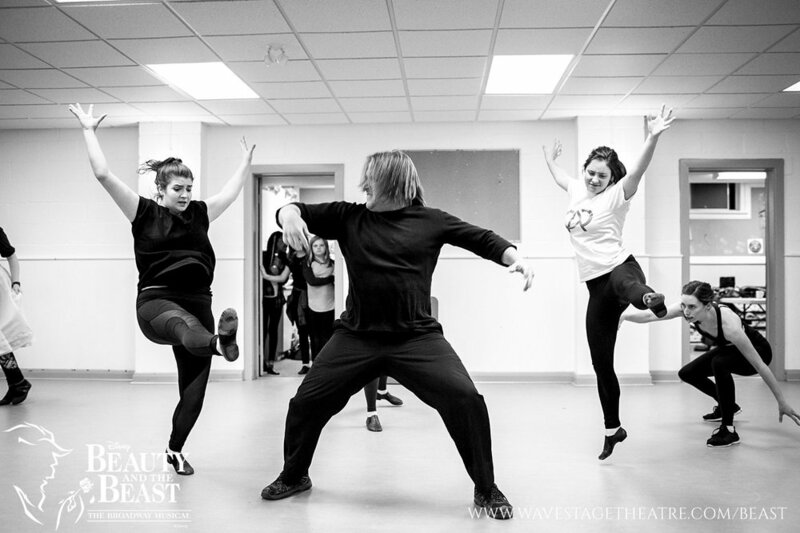 The magic of theatre, paired with such a magical show as Beauty and the Beast – there really isn't anything else like it." 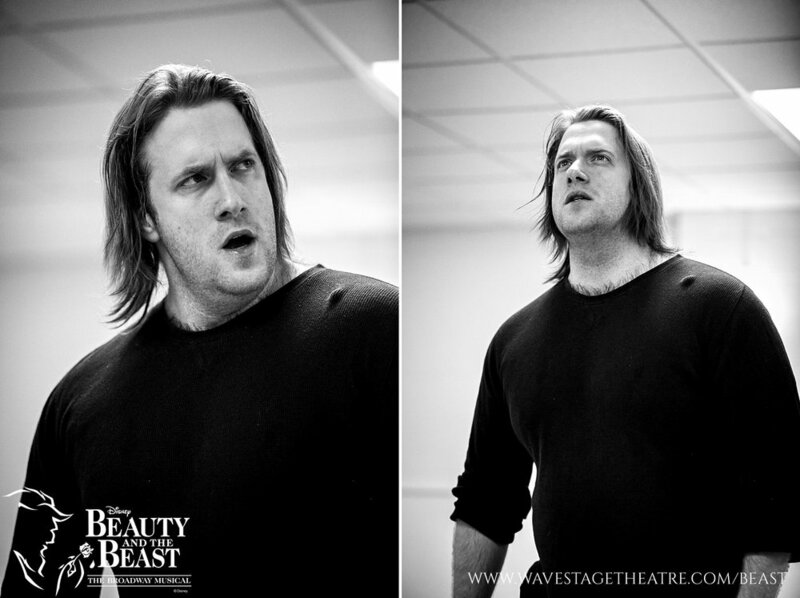 Don't miss Hayden as The Beast from April 19-22 at Newmarket Theatre! Reserve your tickets today.